Because I had to wait for 3 hours before seeing Wicked The Musicale at the Cultural Center of the Philippines last January 29, 2014, I felt the need to look for a place where to "kill time". I thought of buying coffee from Starbucks SM Mall of Asia, but the place, as usual, was jampacked. So I just decided to grab something to eat from Pizza Hut, just across from the famous coffee shop. I wanted something light, so I bought Crab Salad Roll for Php 185. It was my first time to order that salad – and that was exactly what I wanted at that very moment! Apart from being light, it’s also healthy! Crab Salad was actually 6 sets of vegetable strips and crabsticks wrapped around thin lumpia (spring roll) wrapper. The salad dressing made the flavor perfect. 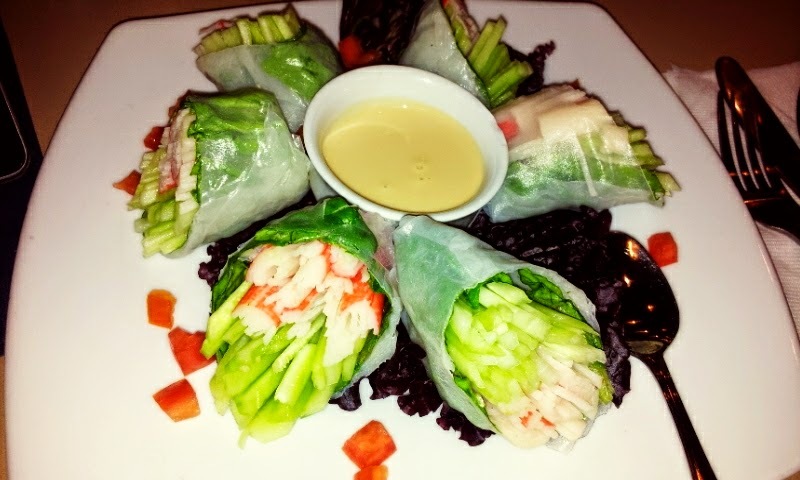 Crab Salad Roll – belly good! Crab Salad Roll - Perfect Light and Healthy Food!